Buford Betty: This is wild! 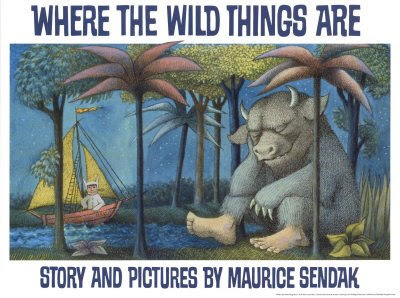 When I was little my uncle bought me that book and I cried because the monsters scared me...oh how things change. My mom called me this morning and told me not to go see the movie because I might get scared and cry. Let the wild rumpus begin!!! Yay! Yippee! So looking forward to the wild rumpuses sure to ensue from that!